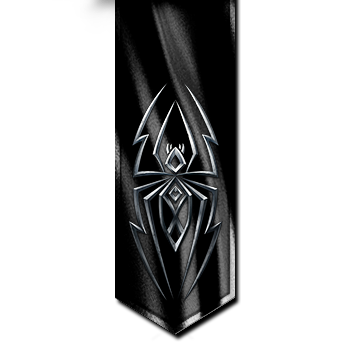 Necromancers began as a splinter sect of the Wizards, and grew into a powerful nation. They worship the “Death” aspect of Asha. Their interpretation of the Goddess’s darkest aspect is fanatical, emphasizing death alone and exalting the state of unlife to which all Necromancers aspire. “Discovered” by the renegade Angel Belketh in one of Sar-Elam’s manuscript, Necromancy proved immediately popular among the Wizards of the Seven Cities. 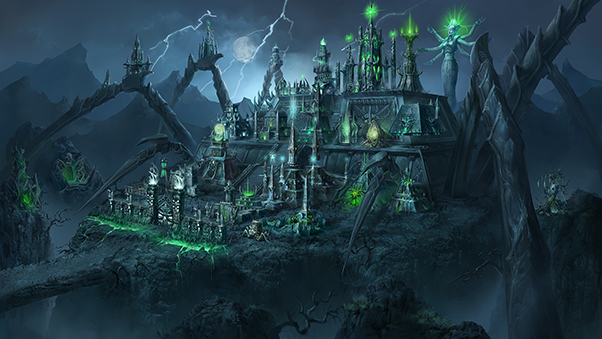 Necromantic experimentations began in Belketh’s city, Al-Betyl, leading to the creation of a new faction of Wizards: House Eterna. Soon, the first Undead servants (ghosts and animated corpses) rose from the grave and were immediately pressed into use to help suppress the revolt of the Orcs and Beastmen. From that point on, House Eterna grew steadily in power and influence. But after the discovery of the avatar of Death known as the Mother Namtaru, House Eterna started becoming less of a magic school and more of a religious cult dedicated to the worship of the “Spider Goddess” aspect of Asha, much to Belketh’s dismay. The Angel eventually left House Eterna to pursue his own research away from Al-Betyl. Fearing the Spider Cult’s fanatical beliefs coupled to their ever-increasing strength and numbers, the leaders of the Seven Cities initiated a large-scale persecution, ranging from the seizing of their properties, to banishment, to the spectacle of public executions. This brought about a long and gruesome civil war, one that the Necromancers lost. Forced to settle in the eastern valleys of Heresh, the Necromancers declared their independence, using the city of Nar-Heresh as their base of operations to plan their revenge. Heroes of Necropolis command armies of undead creatures, the animated corpses of the enemies they defeated on the battlefield. Although those soldiers are mostly sword fodder, their ranks seem to be growing endlessly. 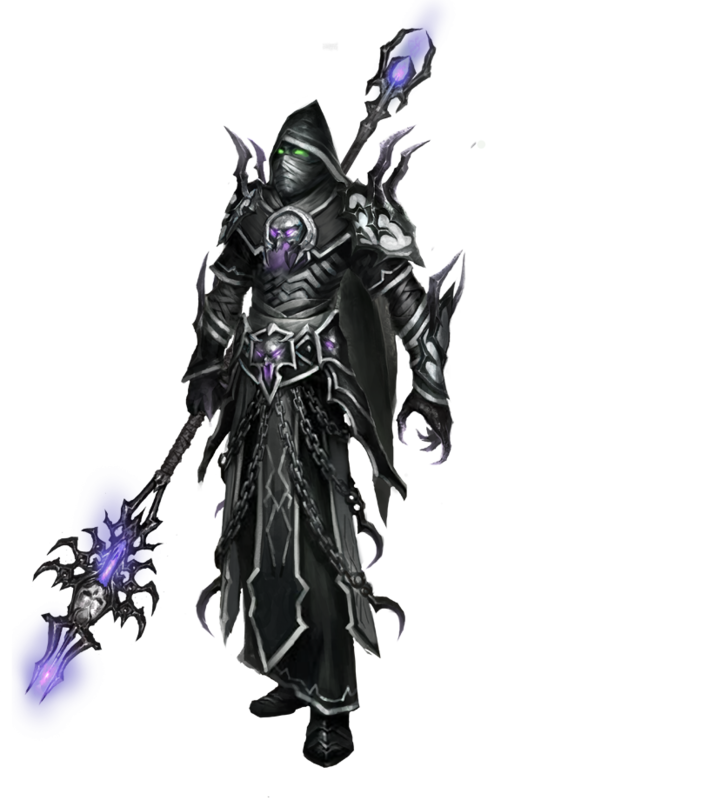 Necromancers have an obvious fascination for Prime Magic, which grants them control over Time, Space, and the Spirit. Among the Elemental spheres they favour Darkness and Earth, which offer interesting combinations with their Undead minions. Lesser Undead are generally slow and clumsy, but they have the numbers to drown their enemies. Liches and Vampires, on the other hand, are formidable opponents, well-versed in the arts of magic and war.